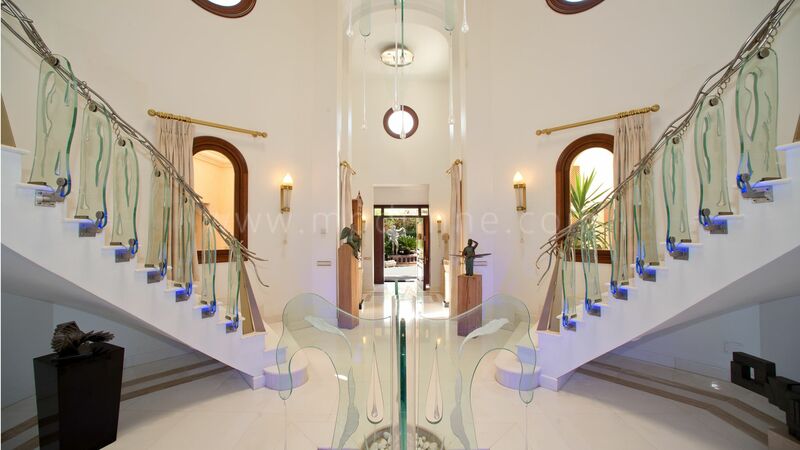 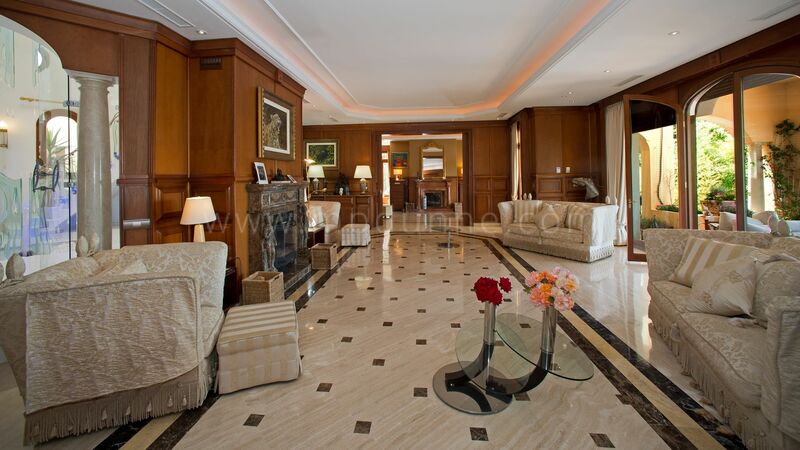 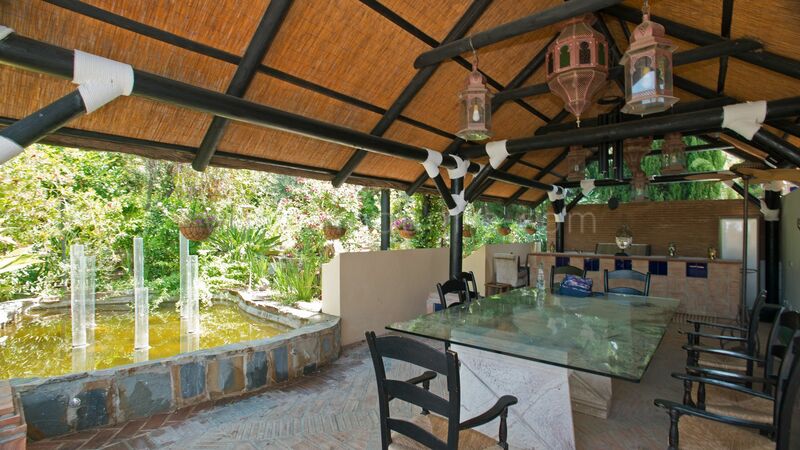 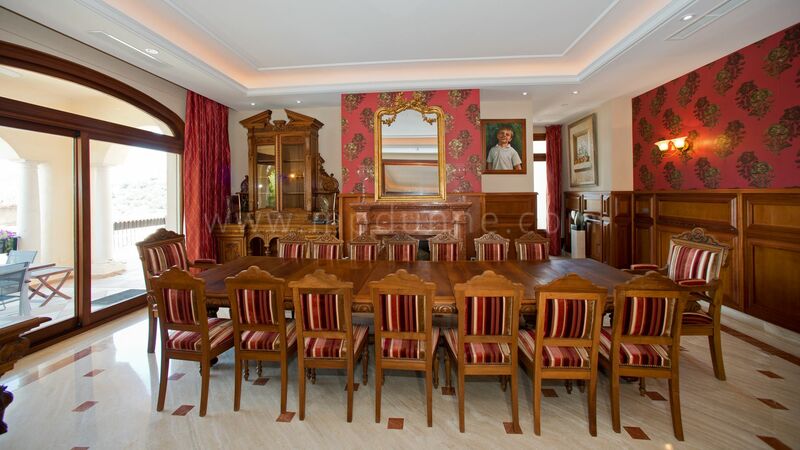 A classical Mediterranean style villa with ten bedrooms suites situated in the prestigious La Zagaleta Country Club. 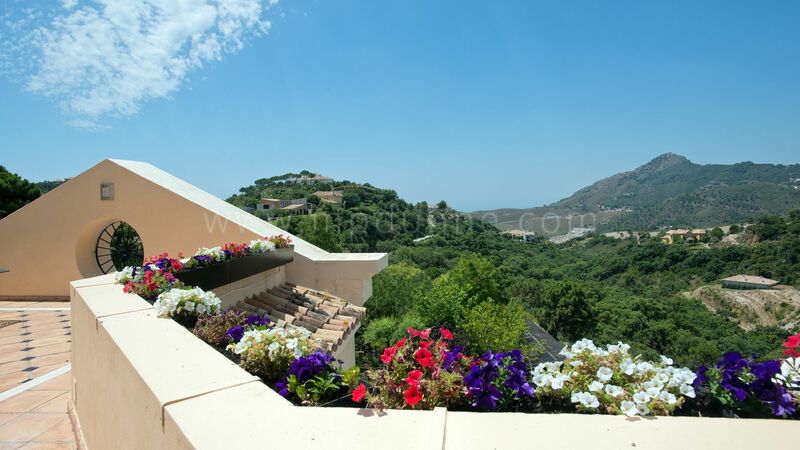 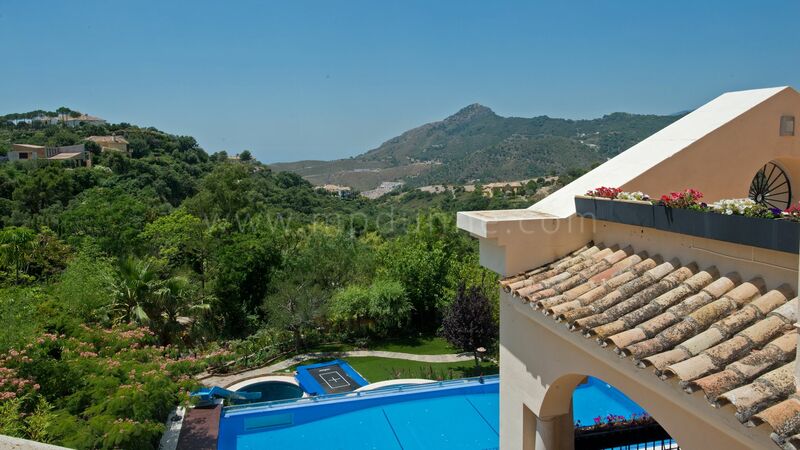 Facing south-west the villa has fantastic views over its own landscaped gardens, the surrounding mountains and the Sea. 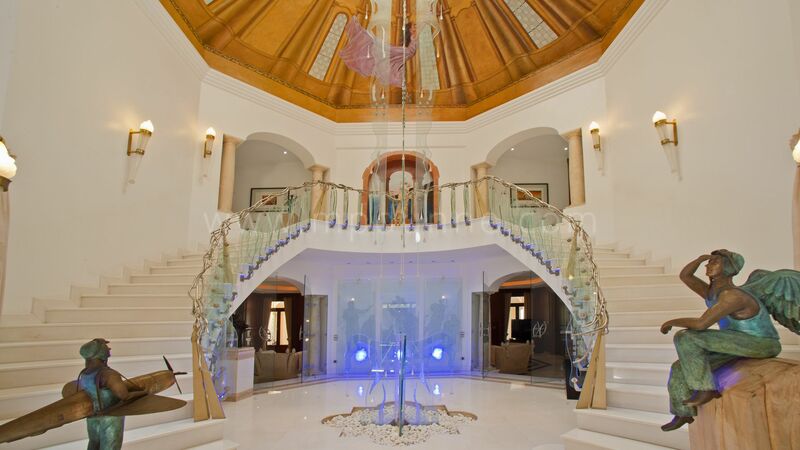 This property has a magnificent entrance hall with a double sweeping staircase and central octagonal domed window from which hangs an 8-metre glass Chandelier above a glass fountain. 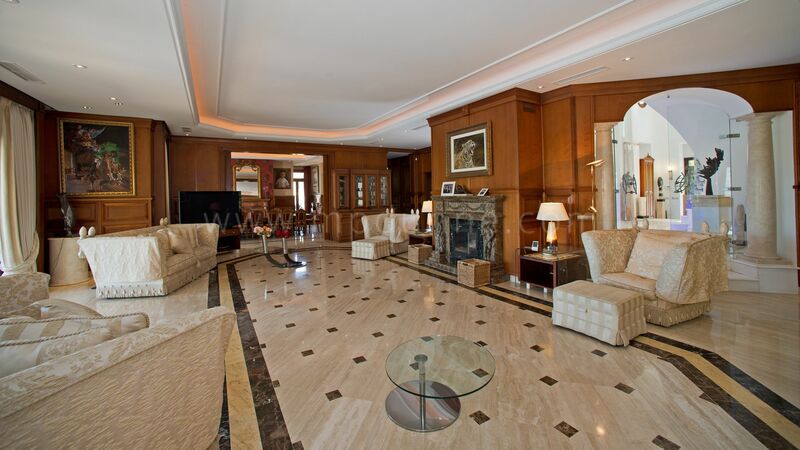 The large living room with fireplace has on either side a separate TV room and the formal dining room. 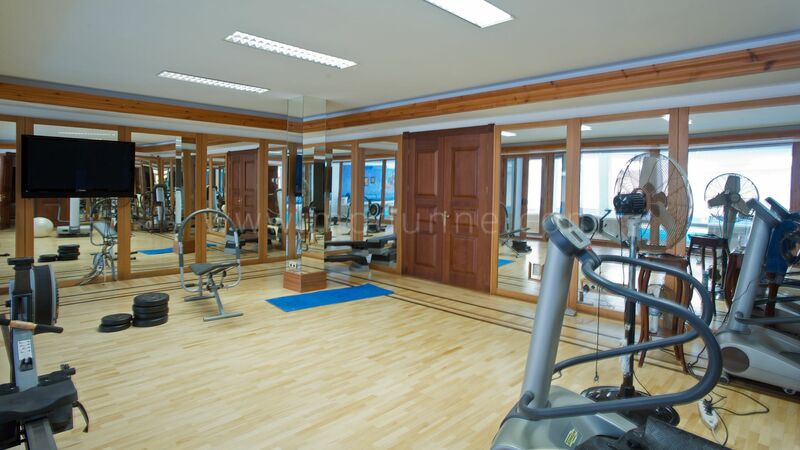 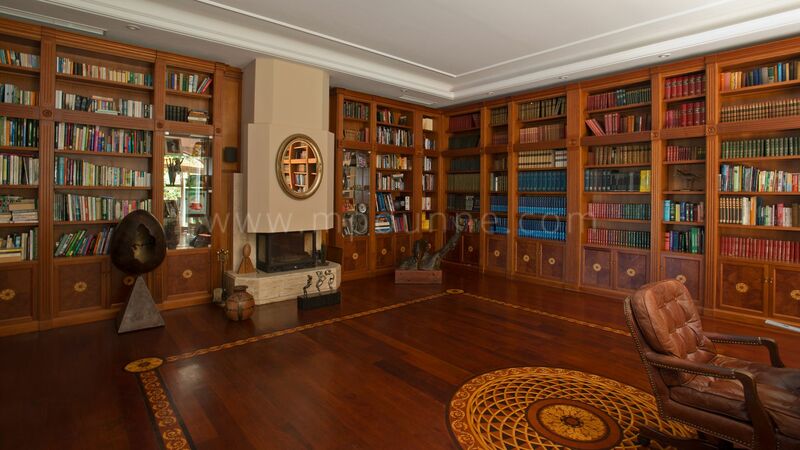 Two offices, and a library in wood with an intricate marquetry floor, as well as a custom made designer kitchen. 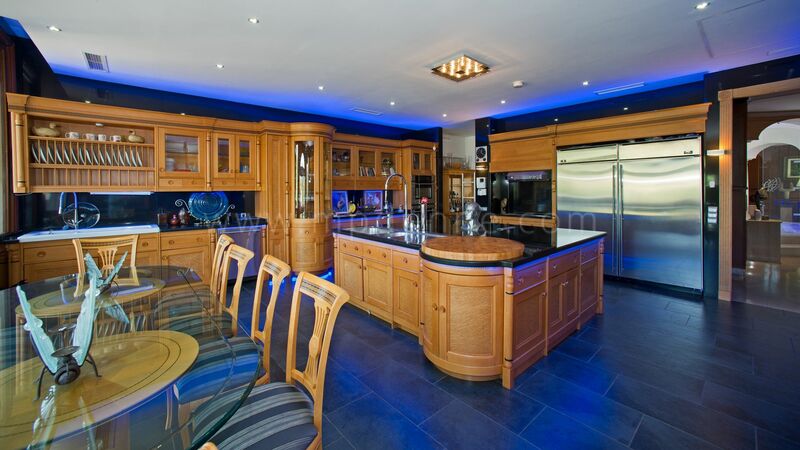 The kitchen has a large central island with granite work top. 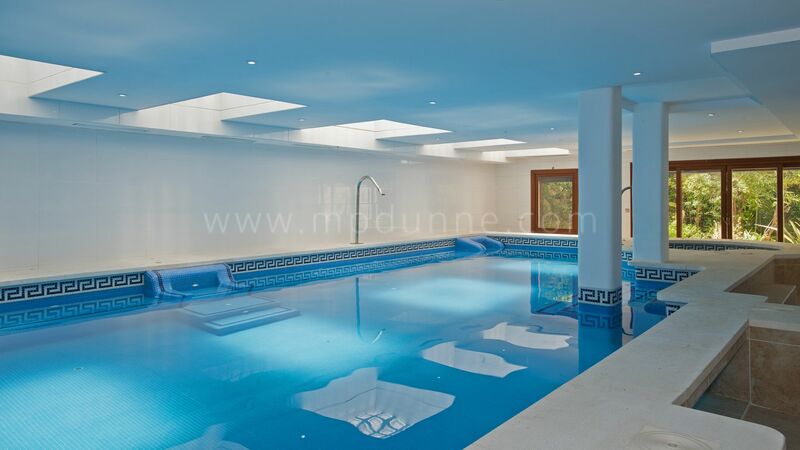 Two ensuite bedrooms leading directly to terraces and onto mature landscaped gardens and the swimming pool. 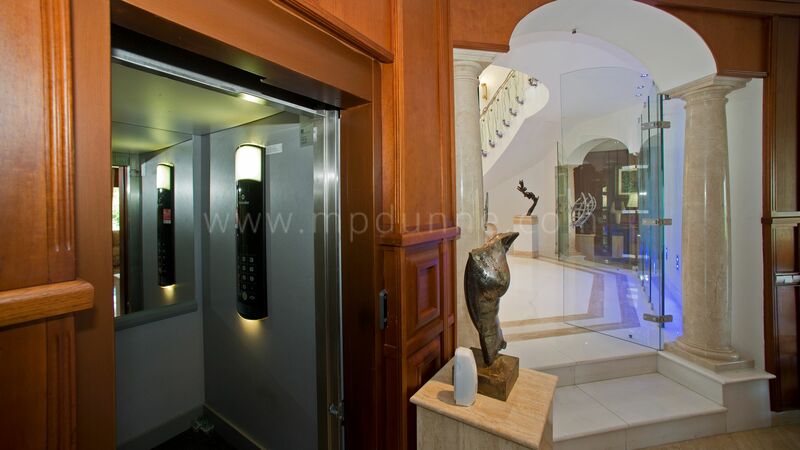 The first floor has a total of three bedroom suites. 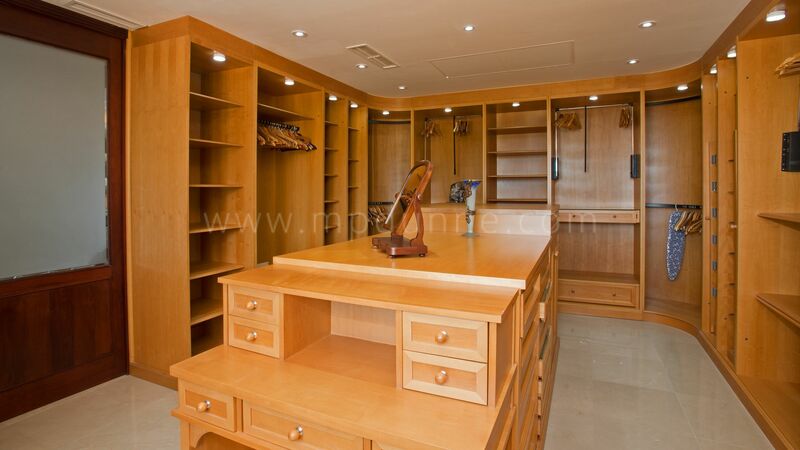 The master has double walk in dressing rooms and a large bathroom. 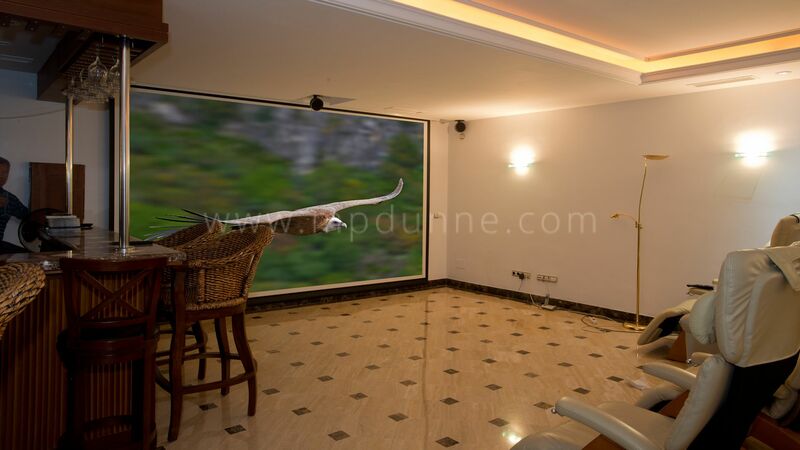 All face south and have magnificent views. 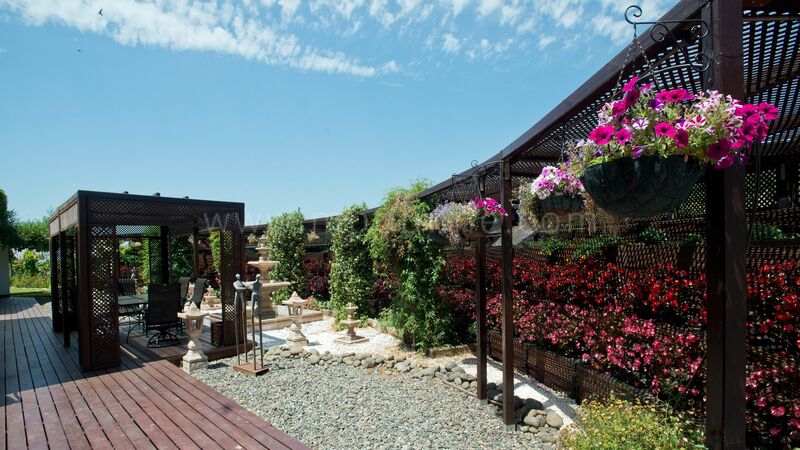 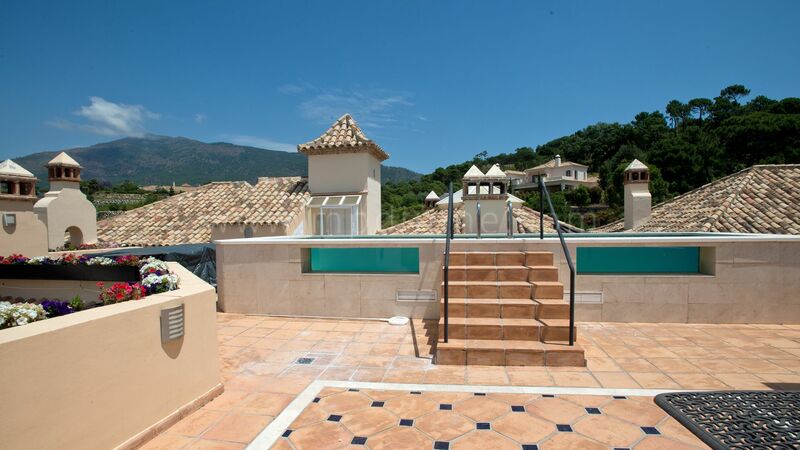 The roof terrace has a BBQ area with a heated swimming pool and a jacuzzi. 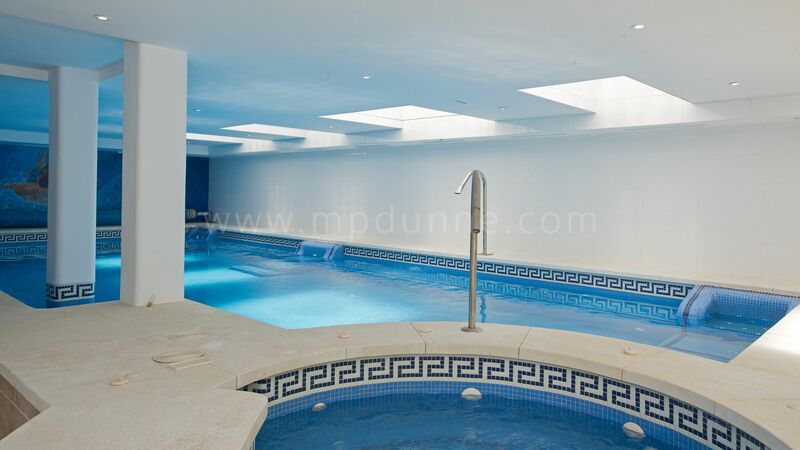 On the lower level of the mansion we have a full spa area with a heated indoor pool which has jet streams. 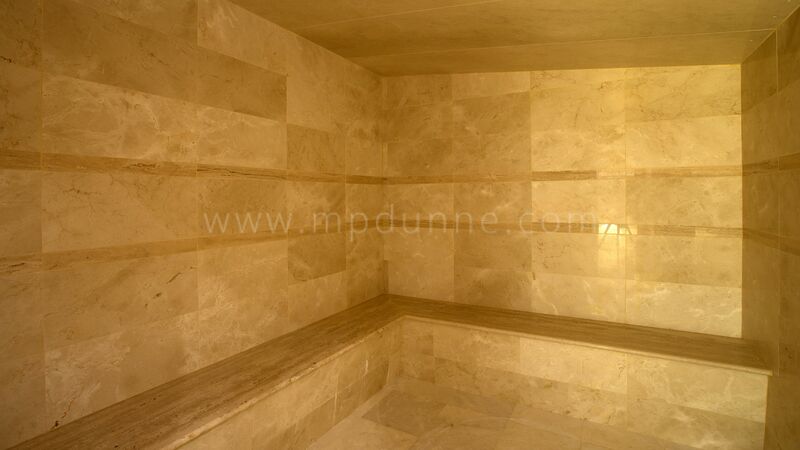 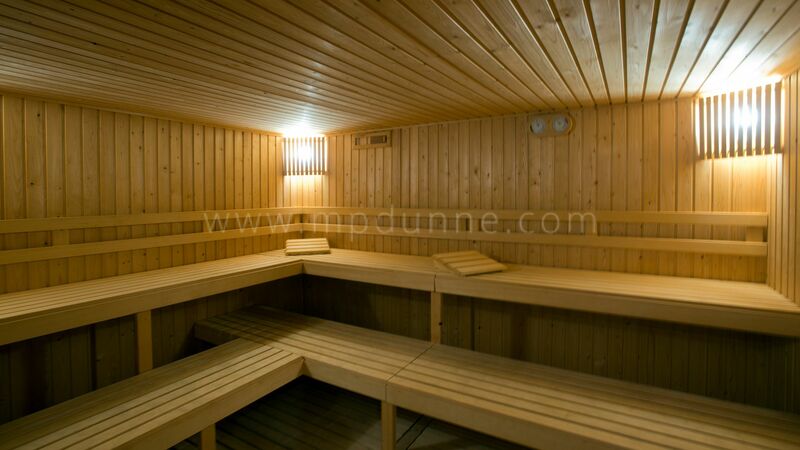 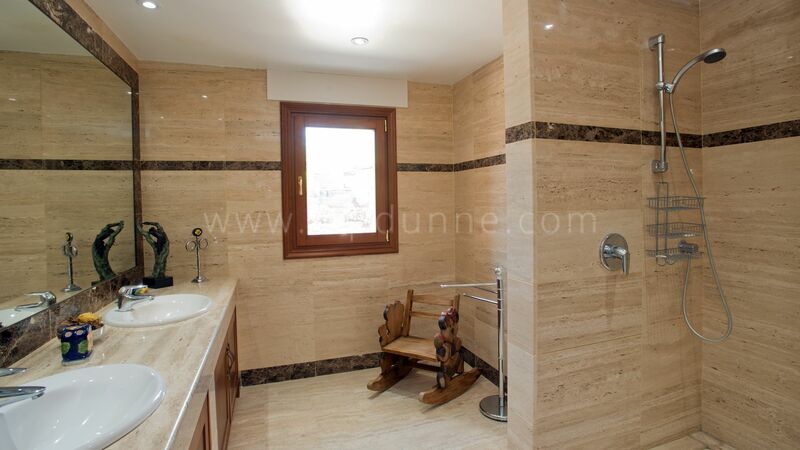 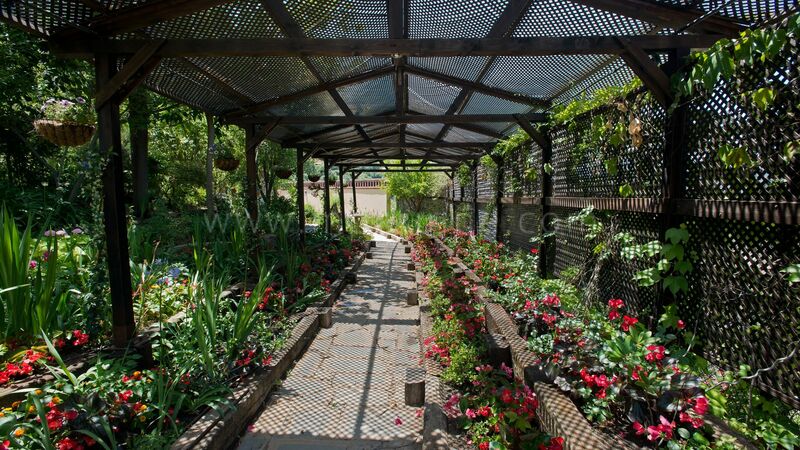 A sauna, steam room, jacuzzi, solarium massage room and bathroom. 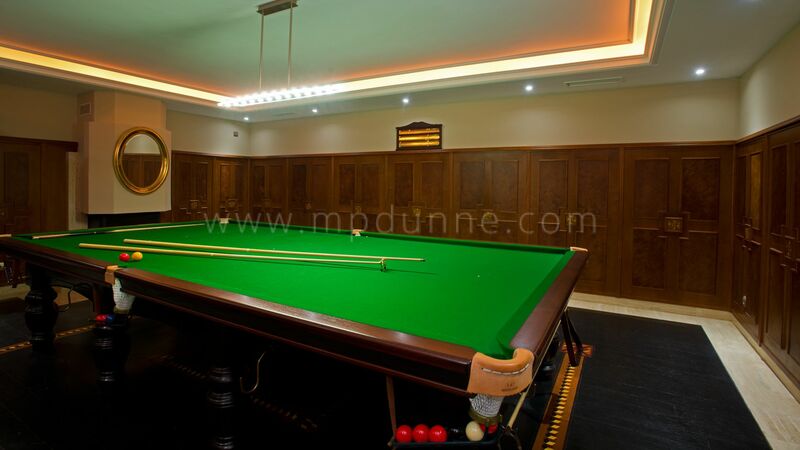 We also have a cinema, a billiard room, a music room, the laundry, a bodega, and a further two bedroom suites. 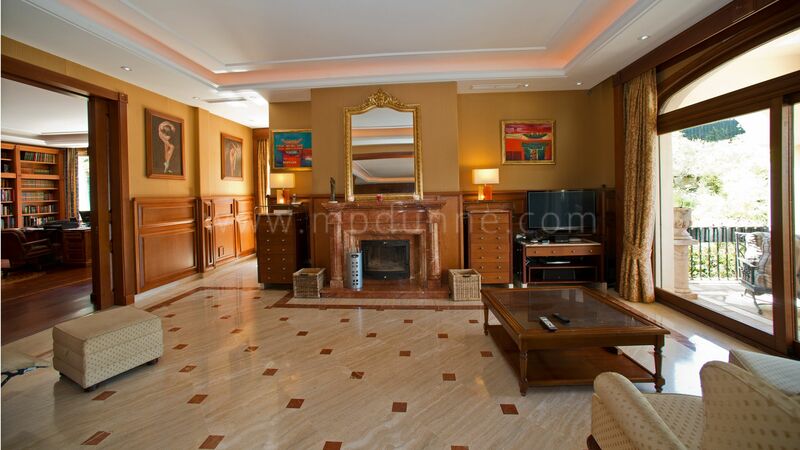 Also a lounge with a kitchen.